In mid-December 2018, the University of Manchester announced it would be leading a new government-backed programme against plastic pollution, named ‘Rethinking Resources and Recycling’. It is one of eight, million pound projects funded by PRIT (Plastics Research Innovation Fund), which aim to rethink how we produce, use, and recycle our plastics. The project is set to start in early 2019 and aims to reduce demand for plastic and decrease its consumption within the city. It will also work on the development of cleaner polymers, as well as methods of soft plastic recycling and micro-plastic removal. This news comes off the back of a study revealing water samples from a river in Greater Manchester had the highest level of micro-plastic pollution ever recorded anywhere in the world. This research, conducted by the University of Manchester, also shed light on how the high levels of pollution in urban rivers are washed out to the sea. After flooding in the area, micro-plastic levels dropped dramatically, with most of the plastic believed to be transferred to marine environments. Micro-plastics are classed as small fragments of plastic less than five millimetres in length. They can come from the degradation of products such as plastic bags or straws, or even be manufactured in the form of micro-beads, found in many toothpastes and face scrubs. Once entered into the environment, micro-plastics can take up to 450 years to decompose, and are often ingested by organisms such as zooplankton. These micro-plastics can build up in the food chain and have been found at high levels in fish brains and other marine animals. This is worrying given our huge reliance on seafood for many of our diets. However, contamination doesn’t stop at food. A study looking at contamination of water sources has found that 83% of tap water samples taken from around the world contained plastic fibres. With micro-plastics even being found in the air we breathe, its obtrusion seems unavoidable. So should we be worried? At the moment nobody really knows. Many studies are looking into the extent of the damage caused by consumption of micro-plastics, however, it remains a topic of debate. 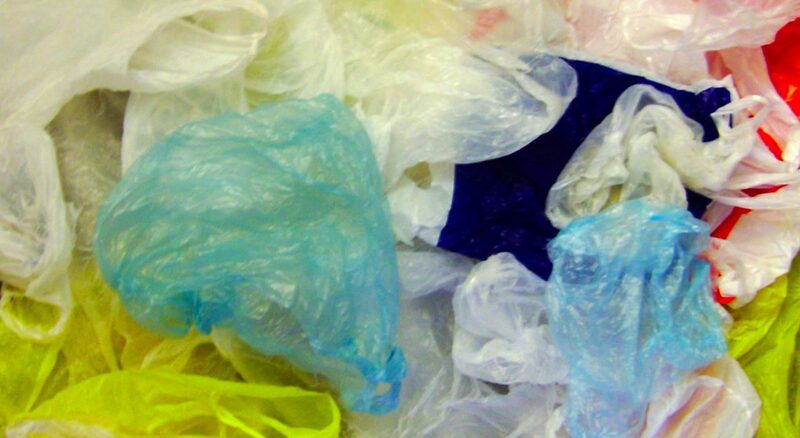 There also appears to be limited scope for avoiding such plastics entering our bodies. We do, however, have the power to reduce its presence in the products we buy. Avoiding synthetic clothing, glitter, and wet wipes are just some of the ways we can lower our micro-plastic footprint. The extent of the spread of micro-beads in everyday products may make this difficult, but avoiding products with ingredients such as polyethylene and nylon can help you make more eco-friendly choices. This is made easier by ‘Beat the microbead’, a movement that offers a list of products which do or do not contain micro-plastics. But in order for drastic differences to be made, these problems must be solved on a larger scale, such is the goal of projects proposed by PRIT and the University of Manchester. Research and funding into plastic consumption and the development of viable solutions or alternatives could help Manchester achieve a cleaner and more plastic-free future.